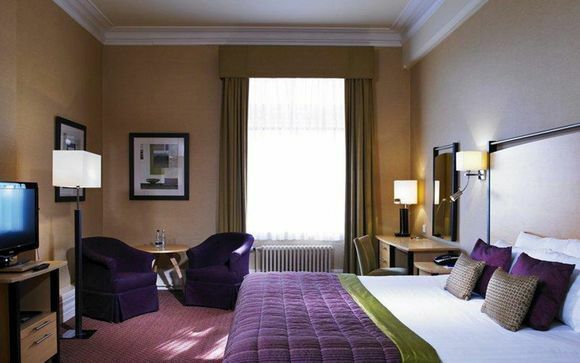 A Victorian landmark, this 4* hotel is set in 8 acres of landscaped gardens, with beautifully elegant interiors. Ideally located in the heart of the spa town Harrogate, you are within easy reach of award winning restaurants and the Yorkshire Dales. Our members will be treated to a complimentary bottle of wine, and late check out for a well-deserved lie in! Only minutes from Nidderdale’s Area of Outstanding Natural Beauty, the charming town of Harrogate is ideal for a weekend break. Boasting high-quality restaurants, cute cafes and superb shopping, this beautiful Victorian spa town is known for its Victorian architecture and Roman Spa Baths. It has also been voted the UK’s ‘happiest town to live’ in a Rightmove survey! 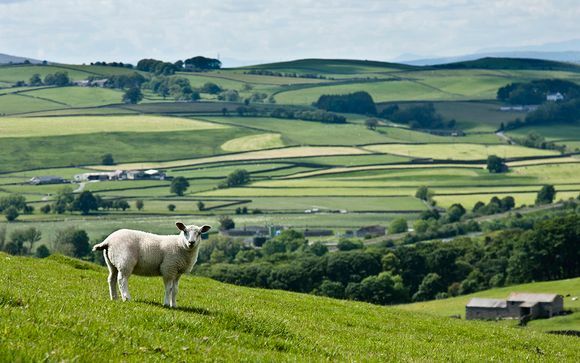 Only a breath away from the stunning Yorkshire countryside, Harrogate is the perfect base from which to explore the beautiful, green rolling hills and picturesque valleys of the Yorkshire Dales. A Victorian landmark, the 4* Majestic Hotel, set in 8 acres of landscaped gardens is situated at the heart of the spa town of Harrogate. Elegantly furnished, the contemporary décor of the hotel matches the enchanting traditional features of its Victorian heritage and instantly envelops guests in their luxurious weekend break. 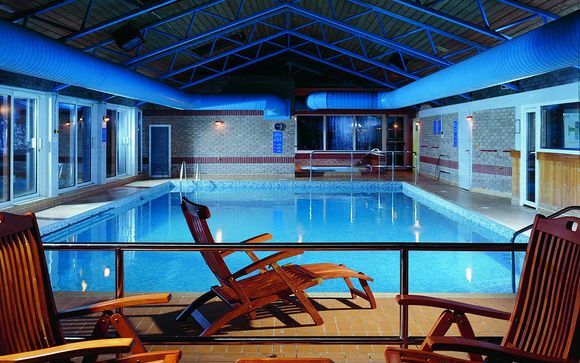 Boasting a fabulous health club with swimming pool and beauty rooms, 2 restaurants and a bar, this elegant hotel is the ideal choice for those wishing to enjoy a relaxing stay, whilst being accessible to a bustling town. Choose from a Standard Room or a Standard Garden View Room. Just for you: Complimentary late check out. This light and airy double room is spacious and furnished with a warm, contemporary décor, a seating area, work station and some boast gorgeous views of the town. Your stay includes daily breakfast and dinner on your first night. Just for you: A complimentary bottle of wine. In a superb setting, relax and enjoy a range of traditional and classic cuisine, complemented by a wide selection of wines from the hotel cellar. This warm, relaxed restaurant serves wines, cocktails and delicious crowd-pleasing cuisine, including feel-good winter pies, hearty burgers, sizzling steaks, and delectable grazing boards. This elegant restaurant offers a luxurious setting for a special dinner. Offering fresh, seasonal food with a new menu everyday, here guests can indulge in more refined, delicious cuisine. There is no more decadent a way of treating yourself and someone special than to afternoon tea. From scones to cakes to finger sandwiches - this spread would have made even the Queen Victoria smile. A swish bar serving sumptuous drinks and offering a variety of light snacks and mains. Afternoon tea is also served here. Indulge in some 'me time' with a trip to the hotel's Health and Leisure Club. Get active in the fully-equipped gym or the aerobic studio, take a dip in the luxurious swimming pool, indulge in a range of treatments in the beauty rooms or relax in the spa pool and unwind in the jacuzzi; this is time for you to rejuvenate. From the A1 North - Before reaching the A1(M), leave the A1, following signposts for Ripon and the A61. Continue past Ripon and follow the signs for Harrogate. Approaching the town centre you will see the Cairn Hotel on the right. Turn immediately left onto Springfield Avenue, turning right into The Majestic Hotel car park. From the A1 South - Exit at Wetherby onto the A661 following signs for Harrogate town centre. Once past Harrogate Town Football Club (on right), you will approach a roundabout. Turn left and continue to next roundabout, turning right onto the A61. Stay on the A61 through the town centre, passing traffic lights, and take first right after St George Hotel onto Springfield Avenue, turning right into The Majestic Hotel car park.